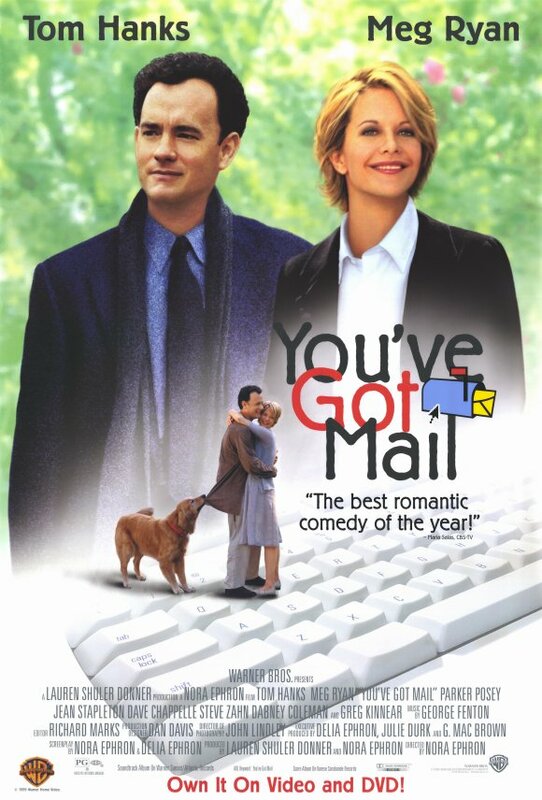 I was a bit bored earlier today and started looking through some of my old VHS tapes (yes, I still have VHS tapes & a VCR) and I came across a classic rom-com from 1998: “You’ve Got Mail” I popped that baby into my VCR and began to re-watch it (it’d been a few years since I’d seen it). Reuniting “Sleepless in Seattle” co-stars Tom Hanks & Meg Ryan, the film “You’ve Got Mail” is a great lighthearted romantic comedy. The character of Kathleen Kelly (Meg Ryan) is a small business owner; she runs a small bookstore that her mother use to own. Joe Fox (Tom Hanks) is the owner of a large chain of bookstores. The two of them chat online getting to know each other really well despite the fact that the two of them are in relationships. 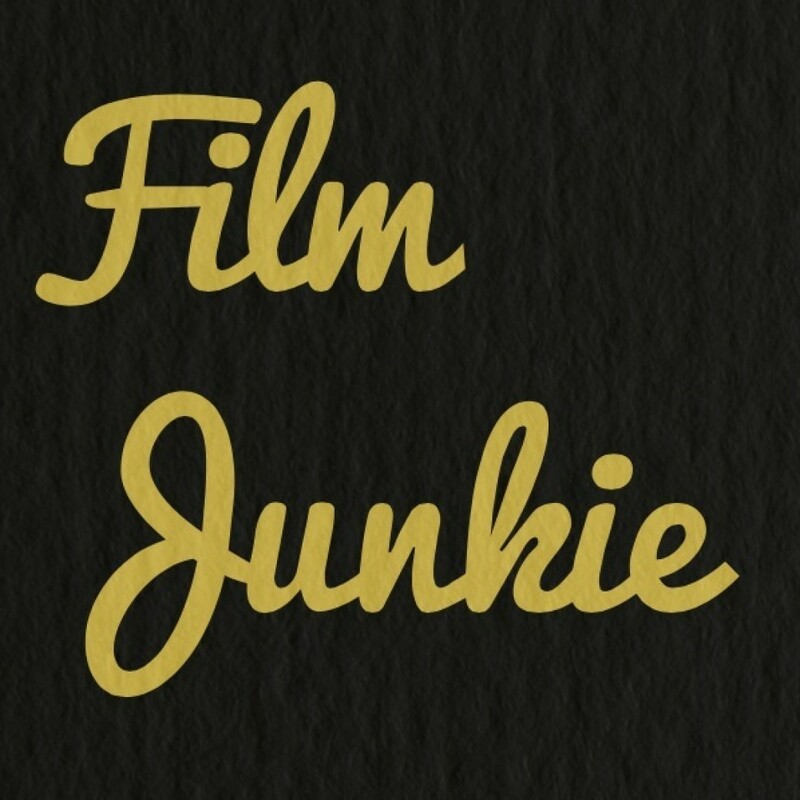 As the audience we know that it is the two of them communicating, but in the universe of the movie, they remain anonymous online. Joe’s big chain of bookstores is set to open a new store right by Kathleen’s little bookstore. The threat of her having to possibly close down shop starts to become a reality. Eventually the two characters meet and become rivals. They still don’t know that they are the ones that have been communicating online. I won’t say much more not to give away everything that happens in the movie, but the movie has quite a bit of funny moments. Is it predictable? Yes, but aren’t all romantic/rom-com movies? And the movie is somewhat dated considering no one uses dial-up anymore and at the time of the film’s release e-mail was a new, interesting thing. The movie is two hours long and is a good movie to watch with girlfriends (it is a chick flick) or as a date movie. Last tidbit…One of my favorite scenes is at the beginning when we see Kathleen and Joe beginning their mornings in wonderful New York City while the song “Dreams” by The Cranberries (great song) is playing, and we see both of them cross paths numerous times without even knowing that they are the ones that have been chatting online. It just goes to show you that you could totally walk right by the person you could end up with someday! After all, everyone we are now friends with were just strangers at one time!